. I folded my 1/2 yard of fabric in half and followed the directions to dye my fabric in an off-center bulls-eye pattern. 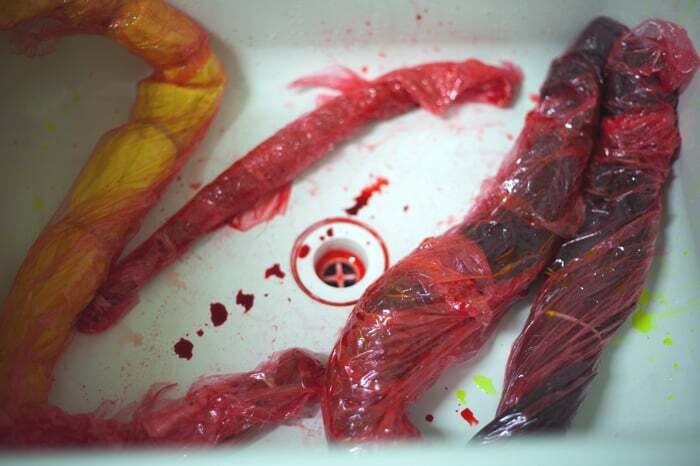 I also experimented with dyeing other fabrics but I will share those another time. 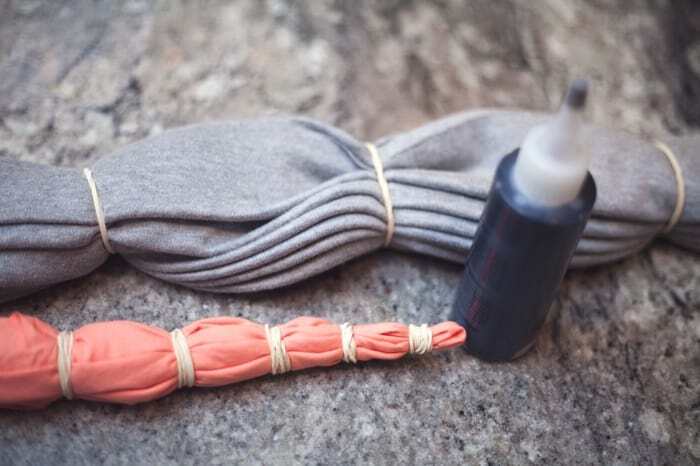 The dyeing process was messy, as expected, but the pre-filled bottles make it as convenient as possible. Having a utility sink is pretty handy about now. You want to be careful with this stuff. You also should make sure that you don’t bust a hole in the middle finger of your glove, staining the entire digit bright red for 24 hours. You also want to explain what you are doing to your family before they see you coming out of the laundry room with red stained gloves and a tarp. Moving on. 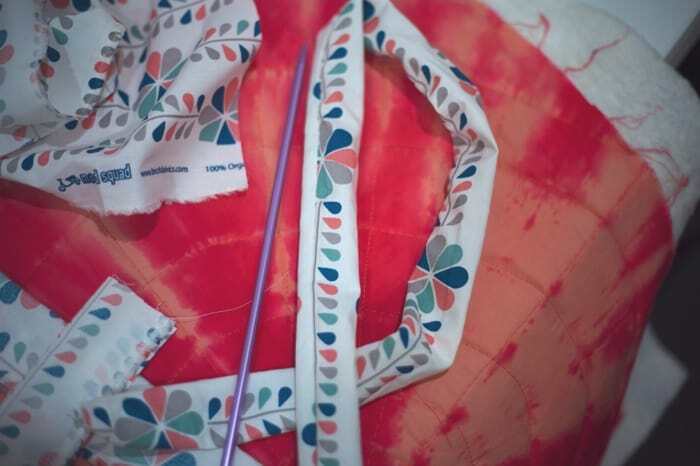 After you are finished tying and dying and wrapping and waiting and rinsing and washing and drying, you are left with some pretty rad tie dye fabric. 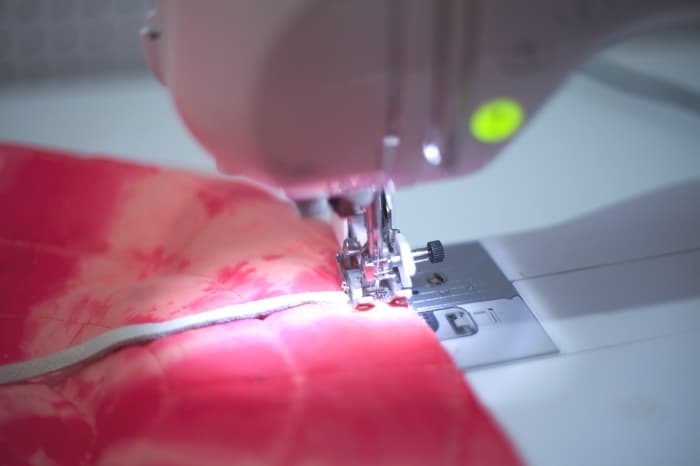 Layer the 1/2 yard of fabric over a layer of thick interfacing and a layer of batting both slightly larger than your fabric. The batting should be in the middle. Pin generously to secure. 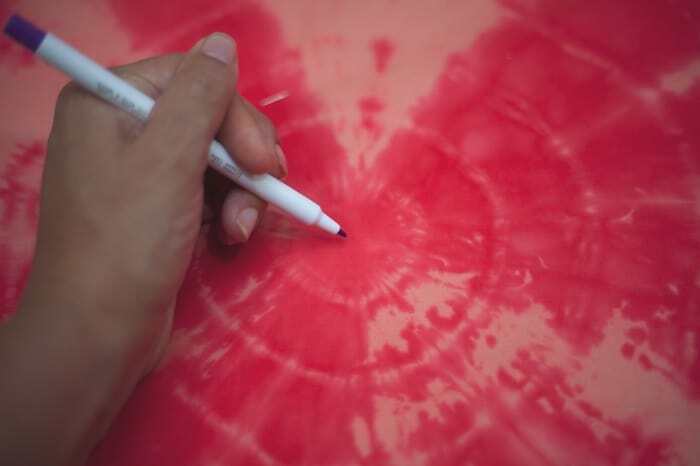 Find the centers of both bulls-eyes and make a small mark with disappearing ink. to keep my radiating lines perfectly straight through the center. 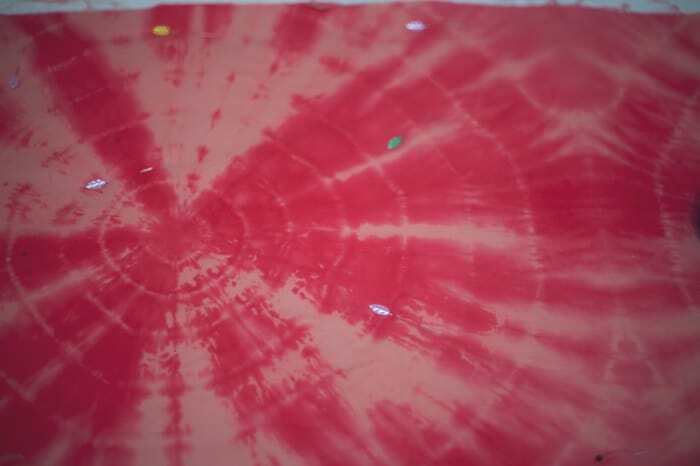 Then I did concentric circles more free-hand and loose to follow the design of the dye. 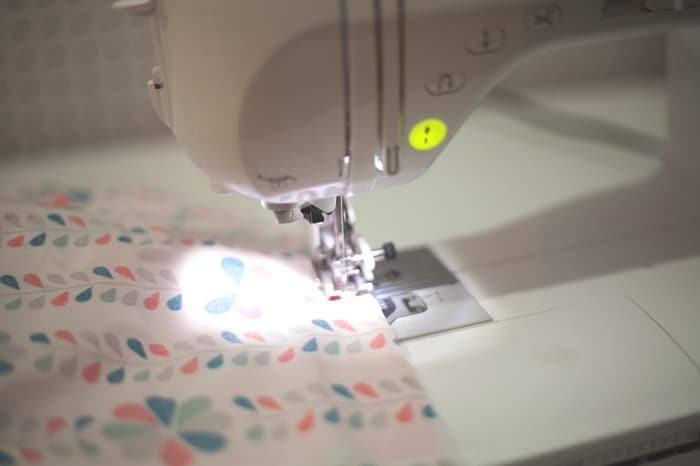 If you would like to sew your own straps to match your lining, cut 4 strips of fabric 2 1/4″ wide by desired strap length (or 24″) plus 1/2 inch. 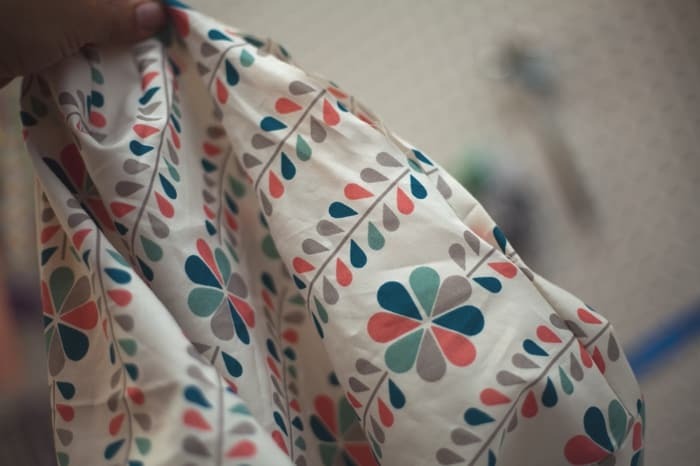 I used this lovely Dan Stiles for Birch fabrics Mod Squad fabric. 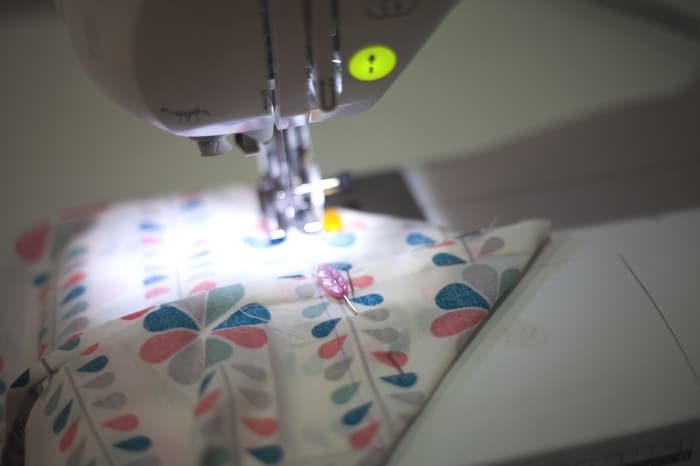 With right-side-facing, sew along the both long sides. 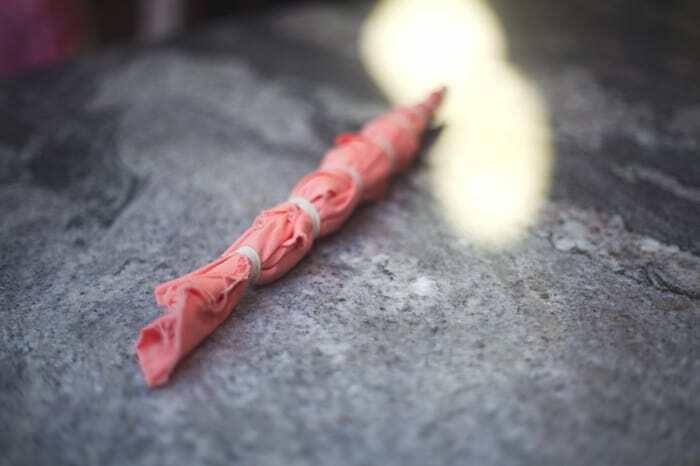 Use a knitting needle or chopstick and push the strap right-side-out. Repeat for other strap, iron both straps flat. 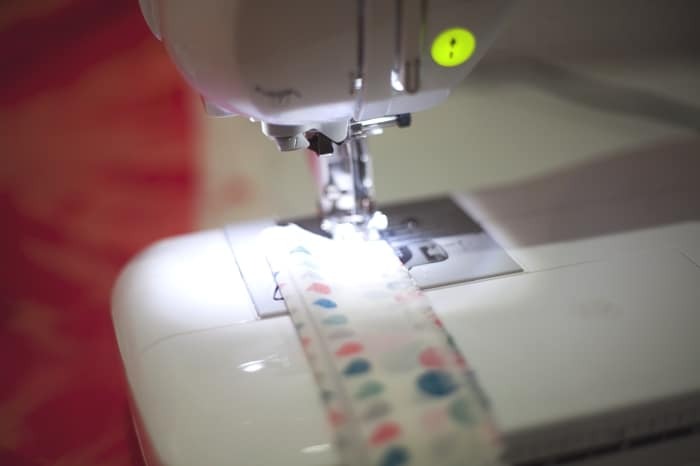 You can also line them with interfacing or use an off-the-shelf webbing if you want a sturdier strap. Top-Stitch up each side of each strap, close to the edge. Set straps aside. 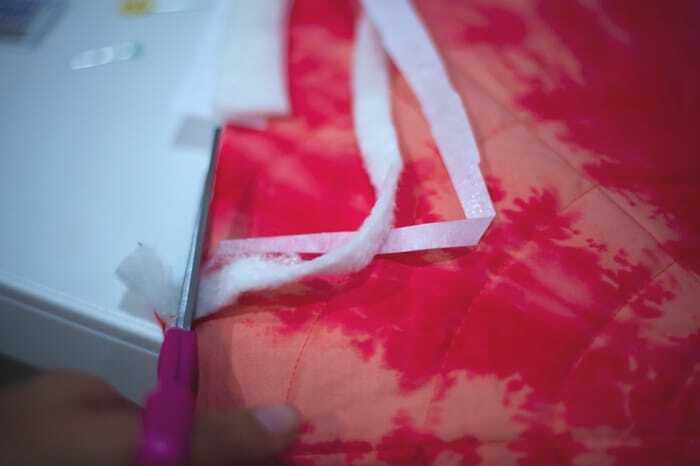 Trim your quilted piece so that all the layers are even and squared. 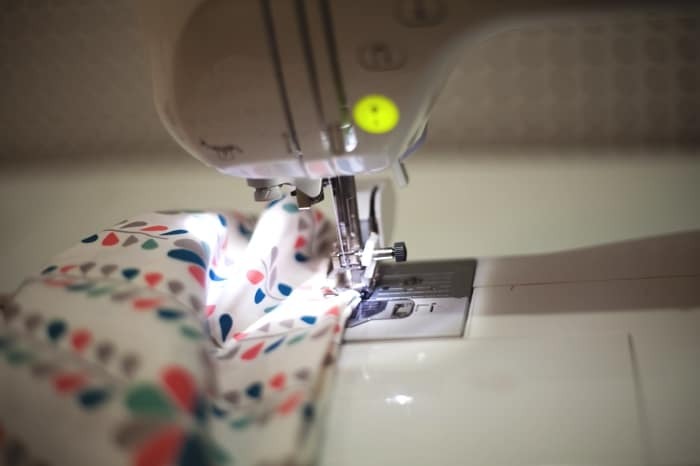 with right-sides-facing, sew up the two sides. Now you are going to create the bag’s flat bottom. 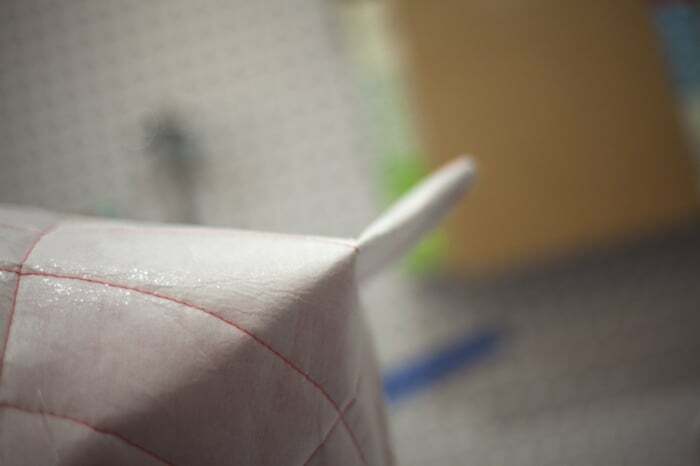 Squash one bottom corner flat so that the side seam runs down the center and pin in place. Measure 3″ down from point and draw a line straight across. 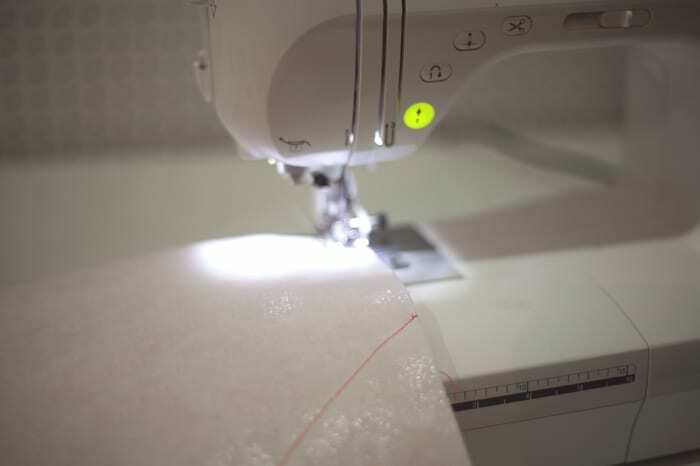 Sew along the line that you just drew. Repeat on other bottom corner. Set aside. 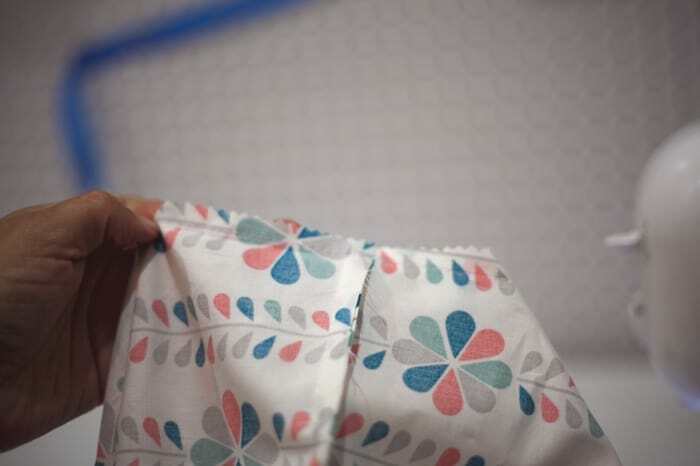 Fold 1/2 yard of lining in half and sew up both sides and across bottom leaving a 5″ hole in the center of the bottom. 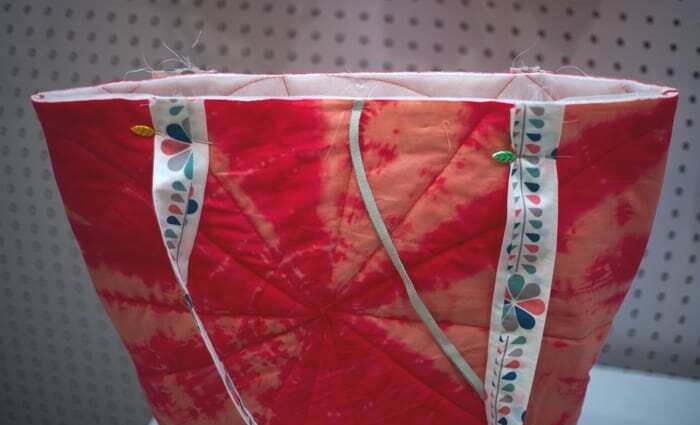 Finish the bottom 2 corners of the lining the same way as the outside quilted piece. 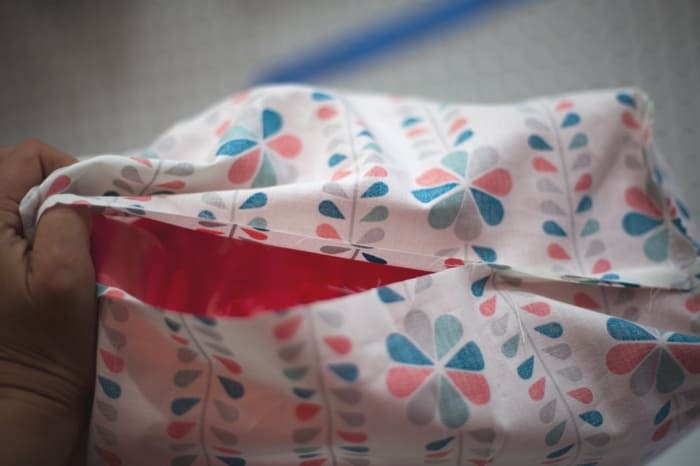 I did not trim the corners of the quilted piece because I like the structure it adds but did trim the corners of the lining as shown here to reduce bulk. If you are going to add some type of closure, now is the time to add a snap or tie. I used leather lace as a tie. 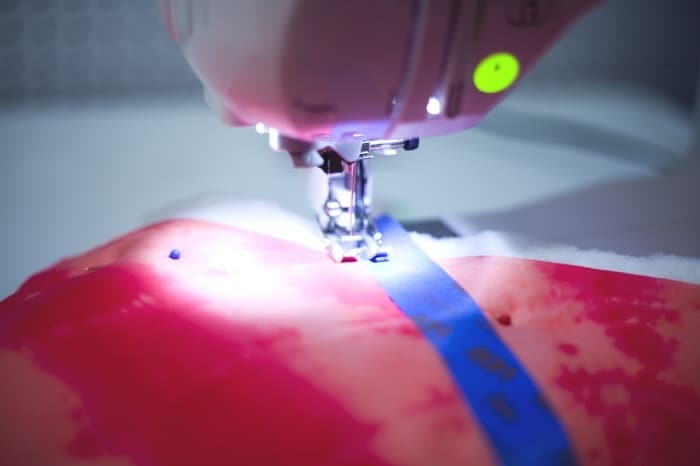 I sewed approx. 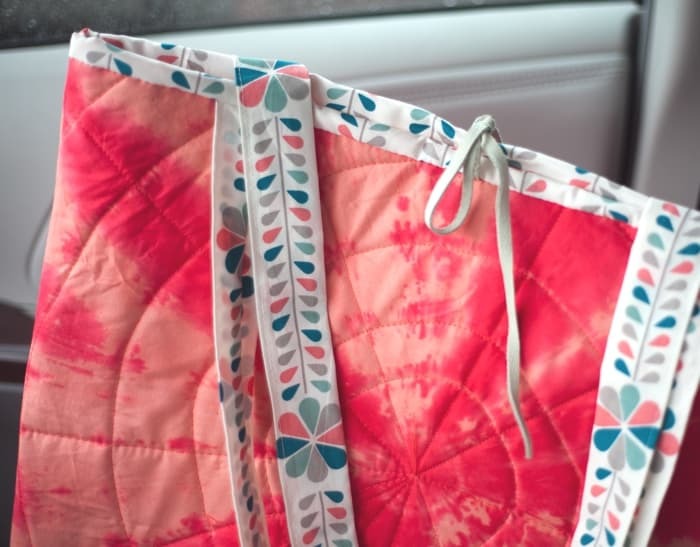 12″ length to the top center of each side of the quilted piece. Pin your handles in place as shown. I did 4.5″ from outside edge. Repeat on other side. 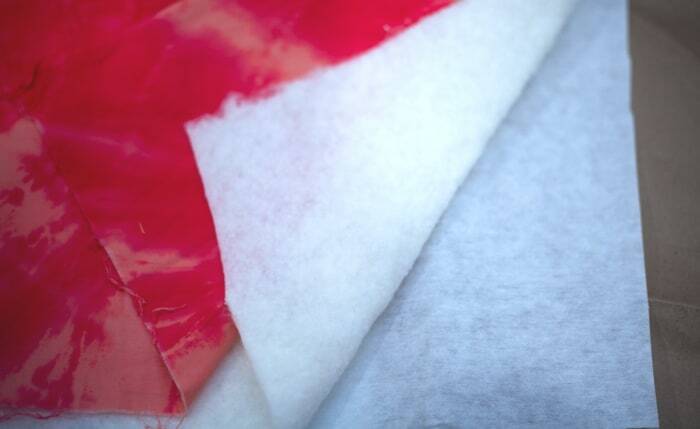 Slide the entire outer bag inside the lining with right-side-facing. 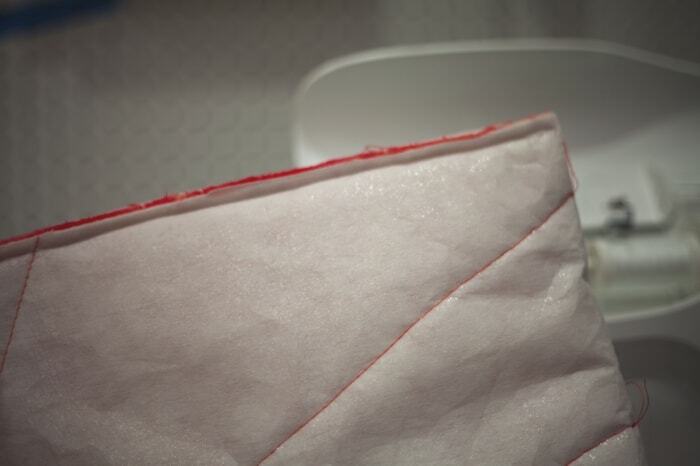 Sew all the way around the edge 1/2″ from top. Some extra back and forth stitches at the handles is a good idea. Through the hole in the bottom of the lining, pull out the entire bag. 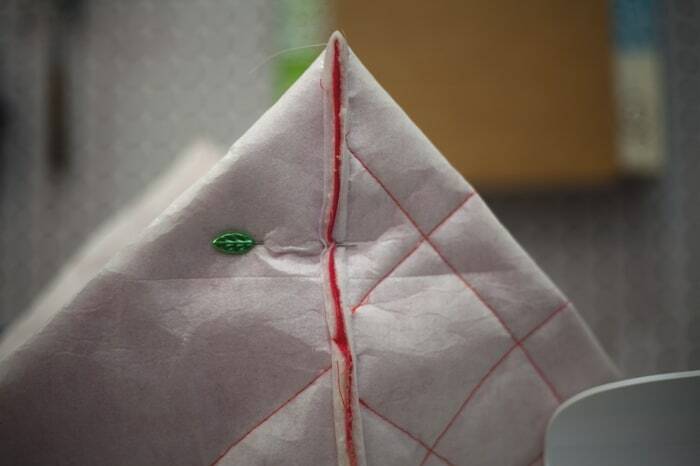 Before you push the lining into the bag, sew up the hole. Push the lining down into the bag. Add another row of stitching around the top if desired. It will keep the lining in place and add security to the straps. 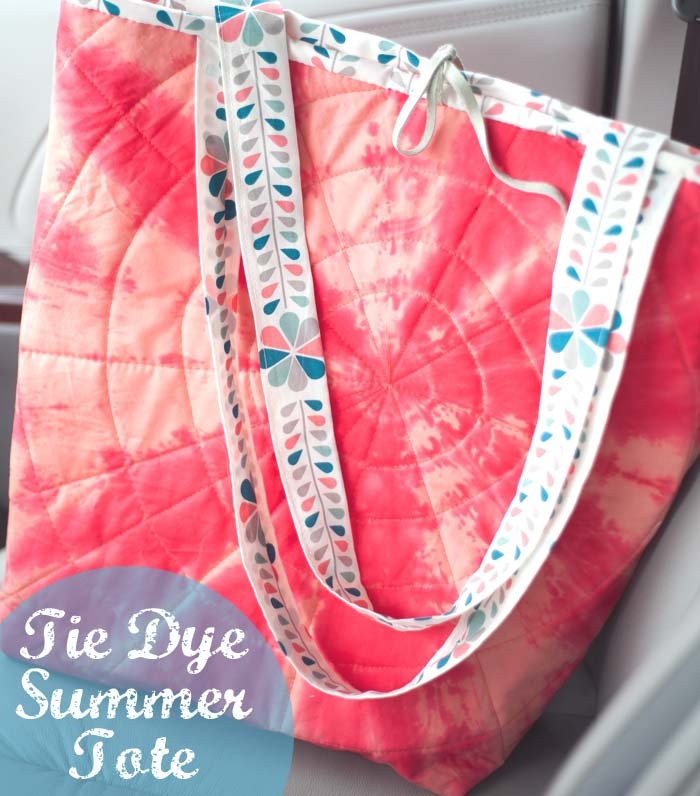 You have a pretty new tote! Head to the splash park or the market in style! 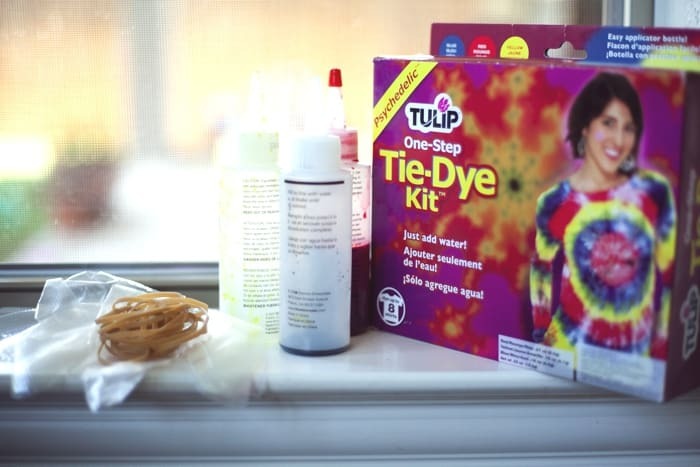 As you may have guessed, this post is sponsored by Tulip, but my new-found tie dye enthusiasm is my own. This is fun! I’ll have to try this. 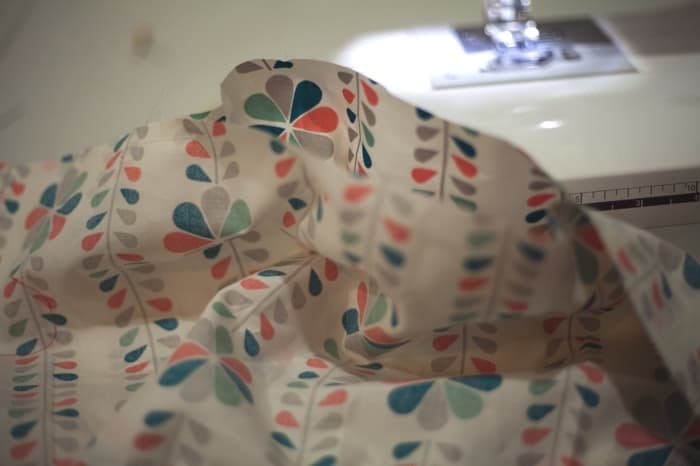 I’ve always wanted to but I was never certain how good the kits were… I also love the lining fabric! The pattern is really pretty! That is one pretty tote. I love the coordinating fabric too. Wow. 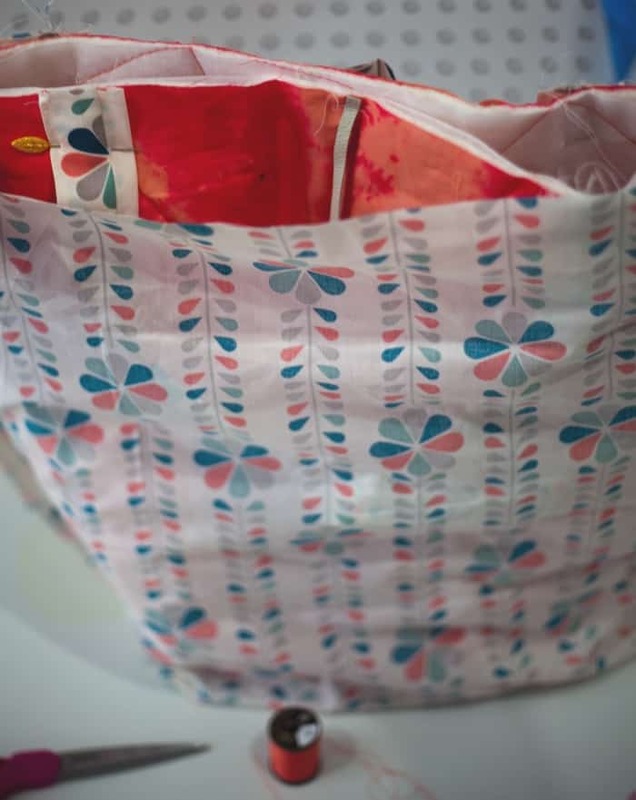 I can’t believe you sewed a tote totally from scratch. Your scary tie dye turned out nice. 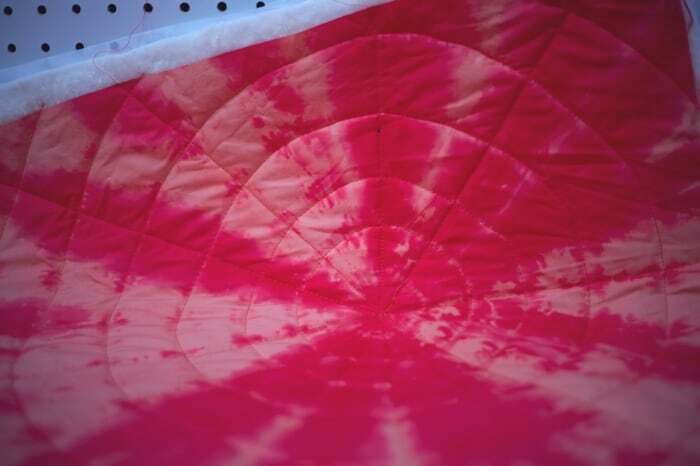 I LOOOOOOVE the way you quilted the tie dye!! So awesome!